Once a year, the “flamingo flamenco” takes place, which varies among different species, but involves a month of non-stop dancing. Yes, you read that right. The feathered dance troupe doesn’t even stop to feed, opting to fish for food during the jig. Why? This is an extravagant mating ritual, designed to lead the flamingo to its soulmate. Talk about dedication. 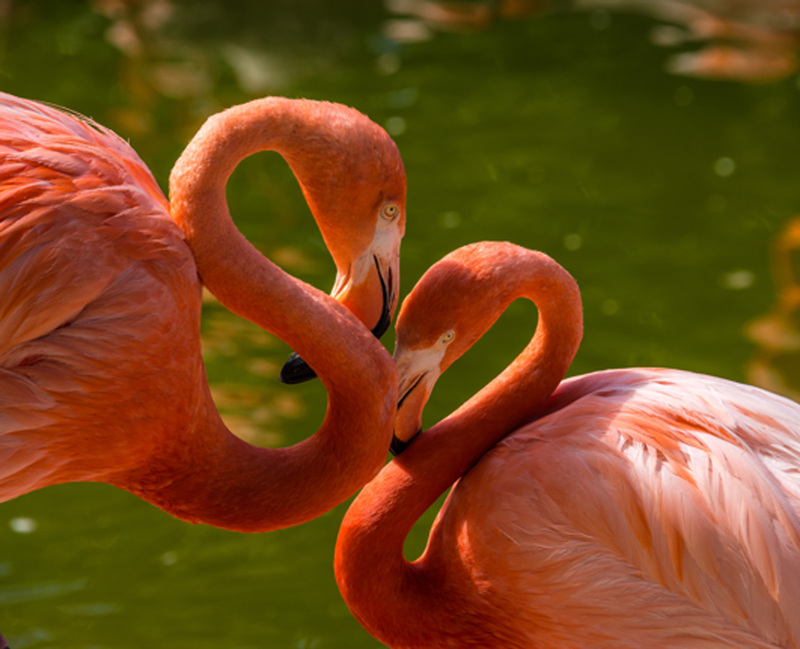 What’s the flamingo’s secret to love, you ask? Unwavering support and loyalty. 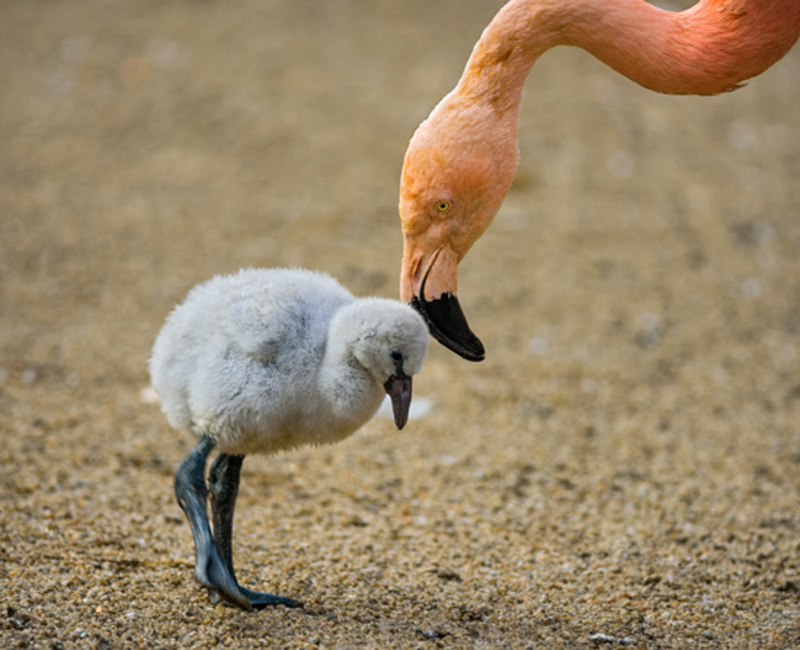 Flamingos only have one mate for life, just like penguins! As soulmates, these cute couples work hand-in-hand, or wing-in-wing, throughout life’s milestones. As mates, they instinctually build nests together, survey for predators together and even incubate their egg together. Now that’s true love! We all experience moments of self-doubt and can pull inspiration from the flamingo’s journey. Every flamingo enters the world sporting grey plumage, starkly different from its pink-feathered parents we’ve all come to know and love. As the chick adapts and expands its diet, the pink-pigment kicks in, helping it blend with its squad. Like flamingos, we’re all working on finding ourselves. Trust the process. 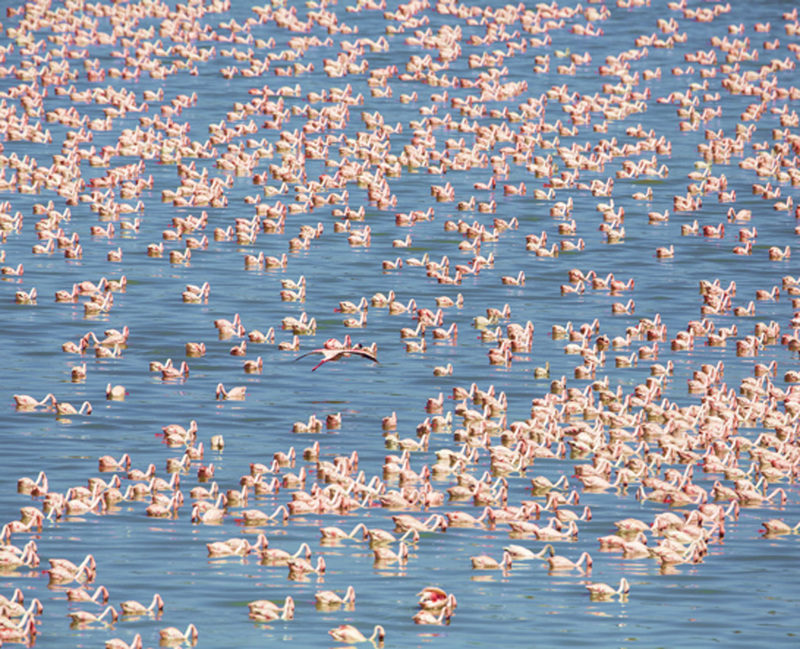 Flamingos are literally incapable of functioning in small groups. 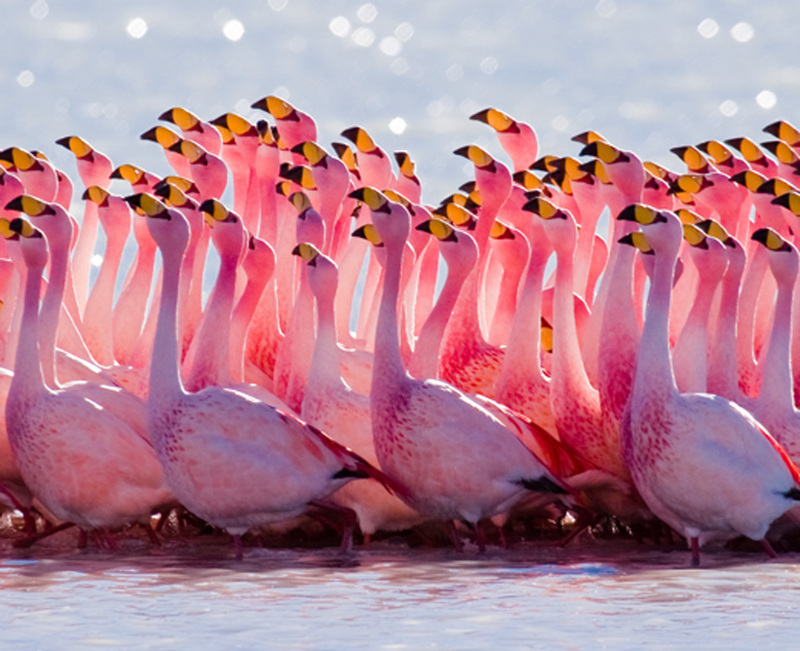 Rather than flocks, flamingos are organized in colonies, which constantly operate on the same schedule. The feathered crew thrives on being part of something bigger than itself. Isn’t that what we’re all aiming to do? Another reason to admire the flamingo is its knack for branding. Although it’s not credited enough, the bird has established itself as an American icon throughout the decades. Don’t believe us? 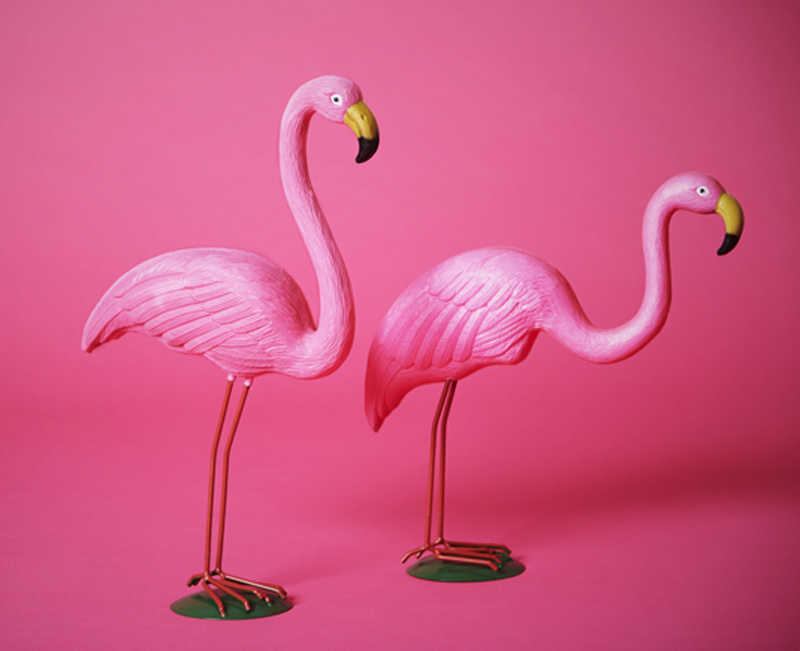 Two words: plastic flamingos. If you too have flamingo fever, stop by our new flamingo mural wall on the first level near Lush starting Friday, August 13. The wall will be up until October, providing plenty of time for pretty-in-pink photo ops. Don’t forget to #AventuraMall when you post.